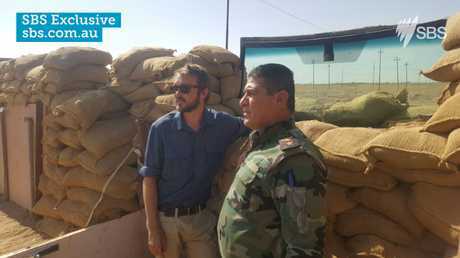 Former Longman MP Wyatt Roy with a Peshmerga soldier in Iraq. LATEST: FORMER Longman MP Wyatt Roy's travel to Iraq has drawn criticism from Foreign Minister Julie Bishop. Mr Roy was caught in a frontline confrontation between Islamic STate and Kurdish Peshmerga forces in Iraq last Thursday. In a statement released on Thursday night Ms Bishop said Mr Roy's travel to the area was "irresponsible". "He has placed himself at risk of physical harm and capture, and acted in defiance of government advice," she said. Ms Bishop said the official Australian Government advice for all Australians was to avoid travel to Iraq, and the Government had banned travel to the Iraqi city of Mosul, which is under the control of ISIL. "Mr Roy did not seek nor did he receive assistance from the Australian Government for his travel to Iraq," she said. The Government does not endorse or approve of Mr Roy's actions, and strongly urges other Australians to follow the official advice of "do not travel to Iraq". 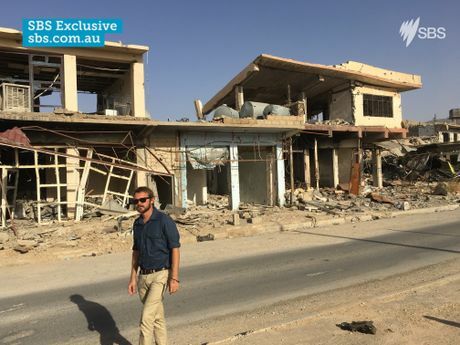 EARLIER: FORMER Longman MP Wyatt Roy has been caught in a firefight near the border of Syria and Iraq, SBS is reporting. 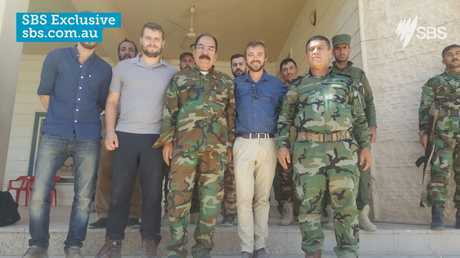 Celebrated journalist Jana Wendt has quoted Mr Roy, who left parliament after losing his seat at this year's Federal election, saying he was caught up in a frontline confrontation between Islamic State and Kurdish Peshmerga forces in Iraq last Thursday. Ms Wendt reported Mr Roy saying he was present when about 15 IS insurgents attacked Domez, west of Mosul. The attack was ended with air strikes by coalition forces and left five IS fighters dead. "The danger of a 50-cal bullet, or if they had bigger RPGs, or a mortar round hitting us was pretty serious so we had to stay where we were," Ms Wendt quoted Mr Roy saying. "Once they [the Peshmerga] had pushed them back, they were very adamant that we get in the car and drive as fast as we could in the other direction." Mr Roy told Ms Wendt he, a British political consultant and a translator left the scene before the airstrike, driving back to the town of Sinjar, where they were met by the local Peshmerga commander. "Very quickly after we were attacked-it was obviously quite a serious situation-the Peshmerga called in an airstrike and probably within a half an hour, forty minutes, the jets were overhead," Mr Roy said. Mr Roy told Ms Wendt he was in Iraq because he "wanted to visit and see for myself, in a way that I really couldn't have done as a member of parliament". What's Wong with Wyatt's trip to Iraq? Did Wyatt Roy have a Wyatt Earp moment in Iraq? Wyatt Roy: Where in the world is our boy wonder?